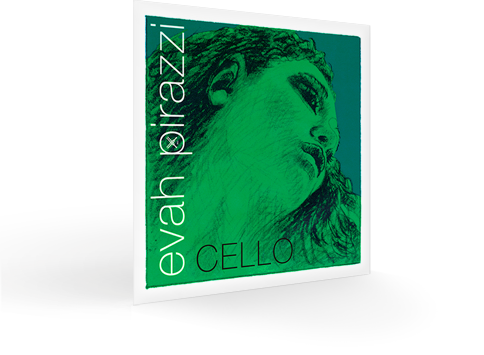 Evah Pirazzi Solo Cello Strings - Bright, powerful and responsive. A wide range of sounds and complex tone. Nearly no playing in time, perfect tuning and stability. 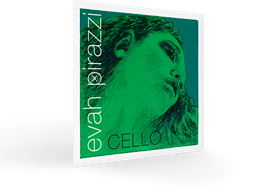 An excellent, affordable, choice for professional and student instruments. Gut like tone Stable in a changing climate. Orchestral steel core strings. Powerful volume, quick response, and long life. Multi-stranded steel core strings that produce a clear and warm tone. Excellent choice for advanced and professional players. 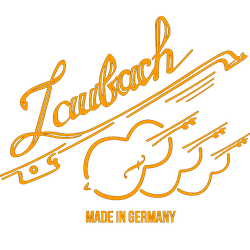 Different design of the three gauges results in distinctive sound differences. are excluded of the German VAT (value added tax) of 19%.